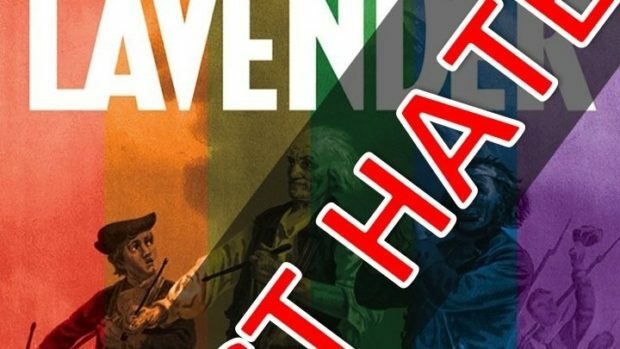 A petition has been launched demanding an apology from Lavender Magazine, a commercial publication targeting the LGBTQ community, after its Pride edition featured an editorial on the hate-motivated shooting in at an Orlando gay bar that killed 49 mostly Latinx LGBTQ people, and left more than 50 others wounded. The writer then takes aim at one religion in particular: Islam. For example, as a Muslim cab driver holding a public license, you do not have the right to refuse to take a person home from the airport because they are carrying a bottle of alcohol. That is the imposition of your religious views on someone else’s life. You do not have that right in this country. You have the right to worship in the mosque of your choice. That is what the First Amendment of the U.S. Constitution is all about: respect for others. The latest issue of Lavender Magazine, “Minnesota’s GLBT magazine,” is an utter disgrace. We demand an apology and the immediate removal of the editorial board. The editorial, Spirit of ’76 p.10, on the tragedy in Orlando is a racist and hateful commentary which claims that “This cowardly attack is solely an an issue of religion.” Lavender’s attempt to blame our muslim brothers and sisters and pit communities of color and LGBTQA community against one another will not be tolerated. Lavender Magazine must be held accountable. As of Friday morning, the petition had garnered more than 300 signatures. The “Spirit of 76” –both as a cover and inside commentary is not merely, offensive or disgraceful; it is Islamophobic and violently inaccurate. For Lavender to participate in the most reactionary type of narrative about Orlando (one which intentionally reduces the entire event to a question of ‘religion’), is not only an injustice to both the lives that were taken in the Tragedy, but makes a violent contribution to already toxic level of Islamophobia, and further pits Minnesota’s Muslim and LGBTQA against one another. For many commenters, the attempt at explanation raised further criticism. Its also, yet again, indicative of how Orlando is serving an unrepentant nationalist fervor. From the picture in the article to the reference to the “Constitution,” and political liberties, attention to Islam and their description of cab drivers, all of that functions and serves as dogwhistles for the deep fear of “the terrorist” other, the image we are fed constantly whenever we are made aware that the perpetrator of violence is not white. A simple equation could be drawn: The U.S. is good for white gays, everywhere else is bad, because religion. As if that actually underscores the violence people experience in their lives. Never mind how complicit the U.S. is in generating acts of violence, shame, and fear by destroying the places the very folks at the center of Orlando, Omar included, are from (and yes I am also referring to those who were born in the contiguous U.S. as well). This “response” is a patronizing, pretentious, and blatant refusal to take any accountability for reinforcing an all too familiar narrative. In their response, I’m being lectured to about how to properly “understand” this issue, while they refuse to acknowledge a broader historical context. You could have thrown me in some gay Tea Party website, and I probably would have found something similar. The same day of the Orlando shootings, cities across the country held vigils, and Minneapolis was no exception. I’m not sure if you were there or not (I suspect you were not), but one of the speakers who came to mourn with us, and show his respect — and the respect of the community he represents — was the Executive Director of the Council on American-Islamic Relations (who, incidentally, was just awarded the Immigrant of Distinction Award for 2016 for his community-building work). This was the first time that group represented itself in front of such a large number LGBT community members. Further, in response to Orlando, a group of local LGBT Muslims and their allies joined forces and walked for the very first time in the Pride Parade. They walked just behind J-Pride (the Jewish LGBT contingent) as a symbol of their peace. This is the very first time in the history of the Twin Cities Pride Parade that the Parade included a Muslim contingent. The point is this: the local Muslim community is making great strides in bridging the gap between it and the LGBT community. Many of us in the LGBT community are trying to do the same. Lavender, as a publication that speaks to and on behalf of the LGBT community, has a responsibility to do this as well. Instead, your editorial and this non-response are building the very walls the rest of us are trying to take down. At the very best, your editorial and this response are irresponsible, judgmental, and over simplistic. At the very worst, they are hateful. At the very least a sincere “Were Sorry” is justly due for what was published. Had nothing to do with Islam and everything to the shooter being Gay and wanting to be Macho. A sincere SORRY, and remember an apology is just justification for what you said. Islam is not a race, but as far as this gay Jew is concerned, defending it makes you a racist. Thanks for this article! I will be certain to express my support for the magazine right away. How utterly pathetic these warped activists are to take umbrage at an editorial speaking out against radical religious extremism. This is the insane self-destructive mentality that we need to lose if gay people are every going to thrive.